New Age Of Activisim.com FOREVER: We continue to recognize Excellence Honorees 2019 - I AM! 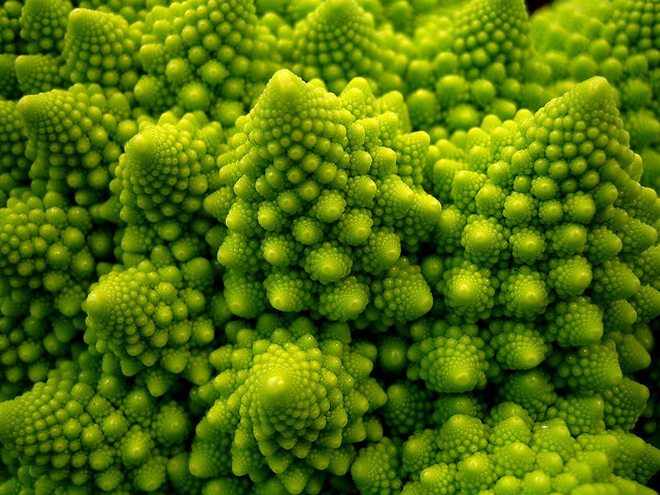 : What is a fractal? Because a fractal signifies infinite compression, it is what spans the gap between the symmetries of the very small and the very large. Fractals exhibit self-similarity, meaning their inner structure has the same pattern as their outer structure - like a pine cone or a fern tree. Just as fractality describes the geometry of waves of energy or charge, fractals manifest as wave patterns that evolve ad infinitum - like an encoded thread linking larger spirals to infinitely smaller ones. All the Platonic solids are Golden Mean-proportioned. Representative of our global scientific heritage, the Golden Mean is now being rediscovered and applied to cutting-edge physics and breakthrough technologies. The Fractal Field Unified Theory and the principle of the Golden Mean allow for the addition and multiplication of waves of charge and energy. The idea of symmetry is vital to both. Quantum physicists can explain the menagerie of fundamental particles we observe - quarks, gluons, fermions, bosons and more - as different facets of a symmetrical object. Relativity, too, is an expression of the symmetries that exist between space and time (Einstein's famous equation E=mc2articulates a symmetry between mass and energy). Symmetry is part of the language of nature, from the molecular level on up: Many animals and plants exploit symmetrical shapes as a way of standing out against the chaos of their landscape. Practically speaking, phase conjugation describes nature's ability to organize and correct itself on a global scale. It isimplosion perfected by the Golden Ratio, and the path that energy takes from chaos into life. 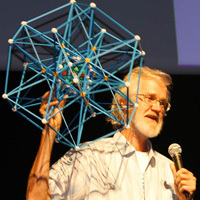 Conference presenter Dan Winter was one of the first scientists to provide evidence that the shape of the universe is a stellated dodecahedron. As a shape capable of producing the perfect fractal, the stellated dodecahedron can cause charges to scale, materialize and implode. While electric field theory has been slow to produce a model of a fractal electrical field, the stellated dodecahedron stands as its perfect 3-D realization. Winter was also one of the first scientists to attribute the cause of gravity to the fractal nature of the universe. According to Winter's research, it is the stellated dodecahedron's perfect charge collapse geometry - based on the Golden Mean - that creates gravity. Only the Golden Ratio allows for constructive interference of wave addition and multiplication. Winter is not alone in his convictions. World famous research scientist El Naschie agrees with Winter, and has calculated groundbreaking mathematics proving the universe is a fractal based on the Golden Ratio. Garrett Lisi recently went public with his like-minded Theory of Everything model E8. The work of Alain Connes has shown that non-commutative spaces naturally evolve toward fractality. In fact, most astrophysicists now agree that the shape of the universe is a dodecahedron. Groundbreaking physicist Andrei Linde has found fractals helpful in modeling the behavior of the universe, and is currently spearheading research suggesting that the fractal nature of space may actually be the cause of gravity. The revelation that the Golden Ratio is the essence of fractality - and thereby the root cause of gravity (along with all centripetal forces) - is groundbreaking in that it links waves of all kinds to a single fractal heart. We are bringing people together to celebrate and enjoy our wonderful philosophies, passions, inventions, science and innovations, embraced in a common theme, the rejuvenation of our planet and its energy systems. Right now you have a wonderful opportunity to spread ‘intelligence’ on our planet. We urge you to take advantage of this amazing time and delve deeply into ways you can help nurture and protect the Earth, and be involved with its transition into better energy producing systems. Now is the time to present our dynamic ideas on technology, health, energy systems and sustainability to the world. Learn about cutting edge science, listen to green energy specialists, be inspired by experts on the unified field theory. Share and discuss your ideas and visions so we can move forward with deep respect, understanding and empowerment. As well as universal principles, you will hear how “natural life-force” synonymous with cutting edge science and the “unified fractal field”, can be harnessed and made culturally relevant to our modern times, including technologies that are sustainable, carbon neutral, economical, and community supportive. The conference brings a huge diversity of people together from all over the world. All guests can actively contribute to the conference, which will be facilitated through coming together at the beginning and end of each day. We will have post conference workshops, discussion panels, and a ‘think tank’ retreat on the Tuesday and Wednesday following the conference. The event has also arranged a Saturday evening party. Exhibition booths will be available. This conference is dedicated to the enhancement and preservation of our environment and self-empowerment in all aspects of life. Whatever your background or profession your participation in these programs will give you more than just cutting edge knowledge – it is vital to the sustenance of our planet. Elizabeth A. Rauscher, Ph.D.World-renowned nuclear physicist, researcher and author of over 100 academic papers. Bob Dratch‘Before his time’ inventor and designer of the BioPacer and HoloPhone sonic-healing and Emotional Hologram effects. Various movie producers, actors and artists have been exposed to his work in holographic energies. His state of the art technologies have been used in various consumer products, and his holographic waveform technology allows people to be completely immersed in the listening and entertainment experience. Bob proved his ‘Atmospheric-Pollution Reduction’ technology is effective in compensating for global pollutants, such as CO2, excessive high altitude water vapor, and other greenhouse gases. Dr. Sal Giandinoto PhDAuthor of 'The Ontology of Quantum Consciousness, Cosmology and the Unified Field: The new paradigm'. Master mathematician, researcher of the Quantum Computer, and mathematical formulations of Quantum Gravity and the Unified Field. Expert on the Golden Mean, Schroedinger, Unified Field Physics, testing and Bioactive and Phase Conjugate Measurement. Regarded as one of the most dynamic thinkers of our time, American-born Dan Winter is an internationally respected academic, physicist, author, accomplished keyboard artist, master animator, inventor and one of the foremost authorities on Implosion, Gravity creation, Golden Mean ratio and the true nature and applications of the “Fractal Field” – a term he coined and is now famous for. Dan is constantly formulating breakthrough ideas about the deep connectedness of all things and how the profound nature of our “oneness” can be approached via sacred geometry, architecture, art, math, biology, computers, electronics, biofeedback and myth. His theories have formed the basis of notable research in the US. Famous for his ‘Physics of Fractality’– and the ‘Unified Black Hole’ Theory and the role of the golden ratio ‘scaling law’ for all organized matter utilizing the Schwarzschild condition of a black hole. Nassim Research and Development is embedded in a fractal feedback dynamic that intrinsically connects all things via the medium of a vacuum structure of infinite potential. This research has far reaching implications in a variety of fields including theoretical and applied physics, cosmology, quantum mechanics, biology, chemistry, sociology, psychology, archaeology, and anthropology. A fundamental understanding of the dynamics of this interconnectivity redefines the lens through which we see the universe and our place in it, and leads to theoretical and technological advancements that move us towards a sustainable future. This new approach to the physics of universal forces has the potential to solve the most pressing issues of our times. Dr. Patrick FlanaganWell-known author ‘A New Theory of Cancer’, inventor and businessman. The triplet state electron perfects charge distribution in water and which ends cancer. Inventor of the microhydrin ability to scavenge free radicals. – physics, math, astronomy, chemistry, biology, and so on, all converging on this emerging paradigm that will help us to integrate the physical, mental, and spiritual worlds and create a new civilization that is in tune with how things really work in a holistic manner, rather than simply pushing agendas that exploit in a highly biased manner. Sapoty Brook M.ScSapoty Brook began his professional career as an engineer and inventor. His first degree was in physics from the University of Melbourne, Australia. Fascinated by energy conversion systems, Mr. Brook patented a variable displacement hydraulic pump and won the Australian Inventor’s Award in 1980. His career has also involved technical reports, electronics and software design, project management, advanced robotics, remote sensing systems, neural information processing. Mr. Brook has always pursued an interest in flight systems. This originated in his childhood where his family had substantial involvement in aviation in Australia. In 2000, while considering the serious limitations imposed by air resistance on airships, Mr. Brook discovered the basic principle of ‘Hypersonic Transportation Propulsion Technology’ and went on to invent his patented “Drag-Reduction, Propulsion, and lift generating systems." Bill DonavanLead consultant in phase conjugate dielectrics and triggering phase conjugate crystals to document effect on biology with higher than ELF frequencies.Ross SpirosAustralian inventor and past business partner and researcher with Yul Brown (the famous Australian that put the hydrogen revolution on the map with his “Brown Gas’ technologies). Mr. Spiros went on to refine and improve the efficiencies and commercialization of the original inventions by producing a unique technology where the cells are cost effective, efficient and can produce all transportation fuels commercially. Ross is co-owner of Eco Global Fuels LLC, the world’s first and only producer of 100 percent renewable, alcohol-based transportation fuels, using water, sunlight and catalysis’s. Decades of research have enabled the technology to harness the power of water and sunlight for the manufacture of hydrogen in the most efficient, cost-effective and ecologically sound manner ever created. When combined with carbon dioxide extracted from the atmosphere, this hydrogen is immediately converted into an alcohol-based liquid fuel for safe and reliable transport. Michael RiceMichael Rice is an award winning architect. His ‘Full Spectrum Architecture’ is starting the Irish Renaissance in the relationship of the built space, humanity and the environment. He takes a holistic approach to design, based on the understanding that everything is connected, alive and conscious. His company, Holistic House Plans, is the world’s largest online resource for building and space designs based on the natural harmonic principles of biological architecture, sacred geometry and feng shui. Each design is unique, and has emerged from an expression of natural patterns, symmetries, shapes, universal symbols and ratios. Architects and designers draw upon concepts of sacred geometry when they choose particular geometric forms to create pleasing, harmonious, and spiritually uplifting spaces.John FanuzziDistributor of ‘paramagnetic soil’ in American. Researcher into the color patterns for the Icosa, The Cube, Tetra, Octa and Dodeca Platonic Forms. Paul HarrisImplosion Science and its commercial applications. Testing phase conjugate dielectrics and magnetics for bioactive field applications. His ‘Rapid Energy’ based company in Oklahoma specializes in the research and development of biotechnology radio frequency devices that have proven to alter the bonding structure of gases within water, producing oxygenated water with charging technology, which adds resonant memory, high negative ZETA potential and stabilized oxygen gas to normally dead water. ‘Rapid Energy’ has related technologies for enhancing growth, sedating or killing microbes, mold and fungus, using radio frequencies. Also commercial mixing or ore separation of rare earth elements, using resonant RF and sonic / ultrasonic energy. Randy invented the original circuit that became Q-Link, a commercially successful EMF deduction method. Consultant, Quantum Resonance Systems Inc and 30 years of RF research in water patents, and full time inventor since 1980. The Breakthru-Technologies Conference is dedicated to the enhancement and preservation of our planet and self-empowerment in all areas of life. As we measure, repeat, validate, debate, discuss, analyze, and share, we will discover dynamic and proven solutions to the growing energy and environmental needs of our planet. Join us this autumn for a once-in-a-lifetime opportunity in an exciting, ancient and pristine part of the world. Dedicated to the enhancement and preservation of our environment and self-empowerment in all aspects of life, the Breakthru-Technologies Conference will bring together a scintillating group of thought leaders to share, discuss and celebrate breakthroughs in science, green energy and unified field theory. 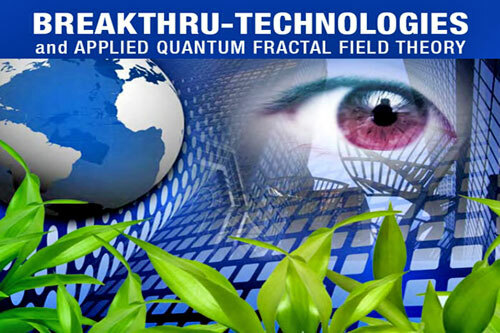 Those who attend the Breakthru-Technologies Conference in Calgary will gain an in-depth knowledge of cutting-edge universal principles – such as the harnessing of energy via the unified fractal field – along with their application towards the development of technologies that are sustainable, carbon-neutral, economical, and community-supportive. The Breakthru-Technologies Conference will bring together a diverse group of people from all over the world. Guests will have the opportunity to actively contribute through group sessions, along with a series of post-conference workshops and discussion panels. Exhibition booths and displays will be available. An informal gathering will be held Saturday evening, featuring entertainment and additional presentations. Finally, an additional think tank retreat will be held on the Tuesday and Wednesday following the conference. We are living in a phenomenal age. Now more than ever before, we have the opportunity to spread a unique brand of intelligence all over the world – one that will not only help nurture and protect our planet, but allow for a transition to more efficient and sustainable energy systems. Whatever your background or profession, your participation in this conference will give you far more than an understanding of breakthrough technologies. It will provide you with the opportunity to share and discuss YOUR ideas so that we can all move forward with deep respect, understanding and empowerment. The time for next-level thinking about technology, health, energy systems, and sustainability is upon us.